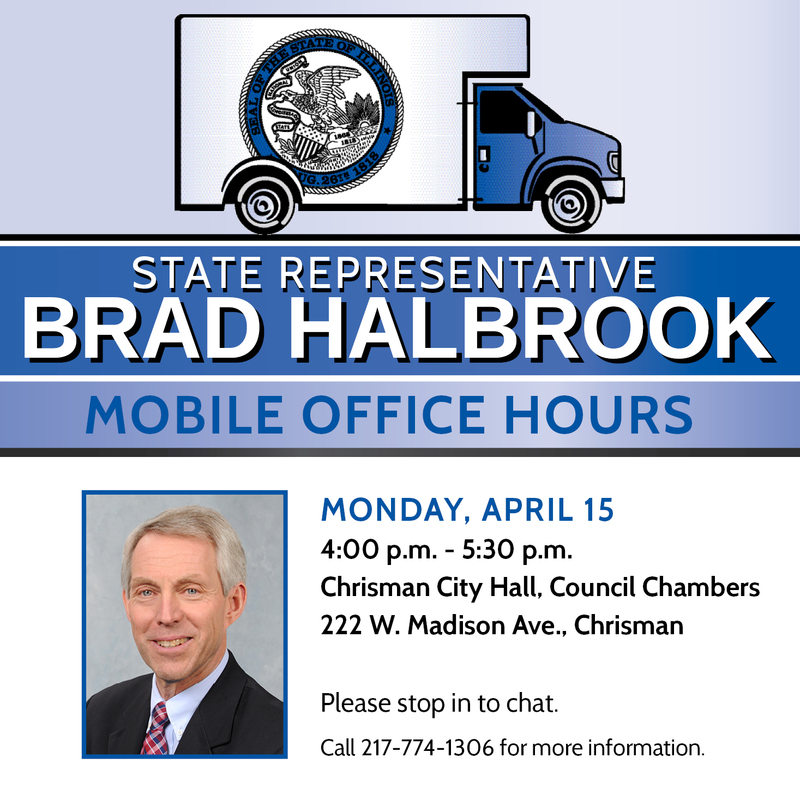 As the General Assembly’s Spring Session progresses, State Representative Brad Halbrook is continuing his spring listening tour with an April 15 stop at the Chrisman City Hall. Chrisman City Hall, located at 222 W. Madison Ave.
“In a district as large as ours it can be difficult for everyone who needs help or has an idea to share to travel to one of my district offices. Conducting a listening tour throughout the district is a great way for me to meet one on one with more of the folks that I represent to hear their concerns and suggestions, or to help with a problem they’re having,” Rep. Halbrook said. Representative Halbrook will be announcing more listening tour dates and locations in the coming weeks. He stressed that local residents are always welcome to call or stop by his Shelbyville office located at 203 N. Cedar (217-774-1306).